High Stiffness in Teleoperated Comanipulation : Necessity or Luxury ? 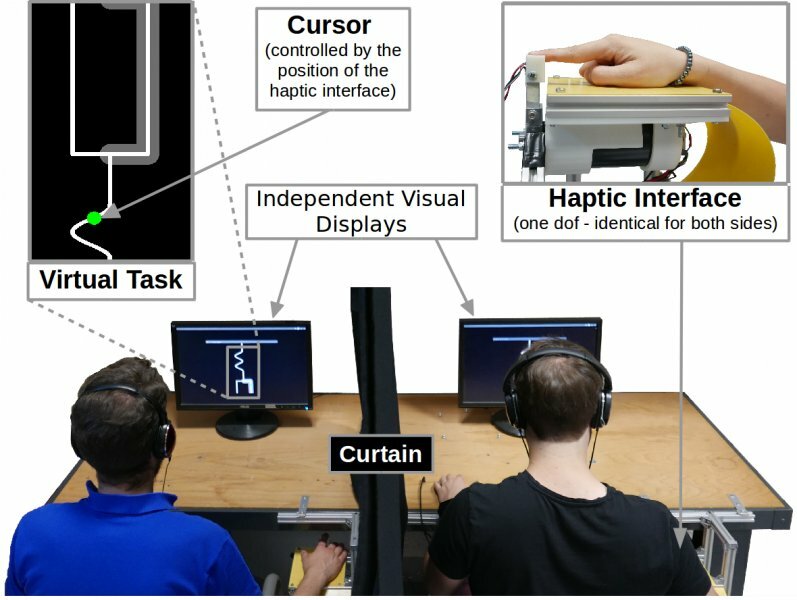 The present paper investigates if and in which conditions does the implementation of high stiffness controllers increase the performances of human dyads during comanipulative tasks in pHHI settings. Two experiments are conducted which cover two fundamental aspects of pHHI : low-level interactions allowing for interpersonal coordination, and high-level interactions allowing common decision-making and negotiation of strategies. The results of these experiments show that high stiffness is not necessary for good performances when the task only requires low-level interactions. On the contrary, when dealing with high-level interactions, higher stiffness increases task performance. The results presented highlight the importance of the quality of teleoperated control in setups used for the study of pHHI. Experimental evaluation of the importance of transparency in teleoperation. Focus on remote human-human interaction cases and stiffness component of transparency. Results : high stiffness is required for high-level tasks but not for low-level coordination.